Nintendo’s first tentative steps into the world of original downloadable games came in 2008 with the launch of WiiWare, for the original Wii. It was a weird, eclectic mix of games, and it’s all going away soon. Before that happens, here are the games you might want to load onto your Wii or Wii U. This story was originally published on November 29, 2017. We’re running it again today since the Wii Shop will be going offline forever this week. While Nintendo won’t take the Wii Shop Channel offline until January 30, 2019, the real end date of WiiWare is coming up much sooner—March 26, 2018. That’s the date that Nintendo will stop allowing you to add Wii Points to your console. Since Wii Points are the only method by which you can purchase more games, that means you won’t be able to buy any of these games after that date. Unless, of course, you’ve got a pile of unspent points in your account. So while you do have until 2019 to spend those points or re-download any games you deleted from your console, you’ve only got a few months now to add more points and grab anything you might have been sleeping on. Some of them are excellent. And since Nintendo in its pre-Direct days did a terrible job of actually informing people about the existence of WiiWare games, there are a few you might not even know exist—including some exclusives that are only available on WiiWare, and are about to be not available anywhere. Before WiiWare, there was Virtual Console. 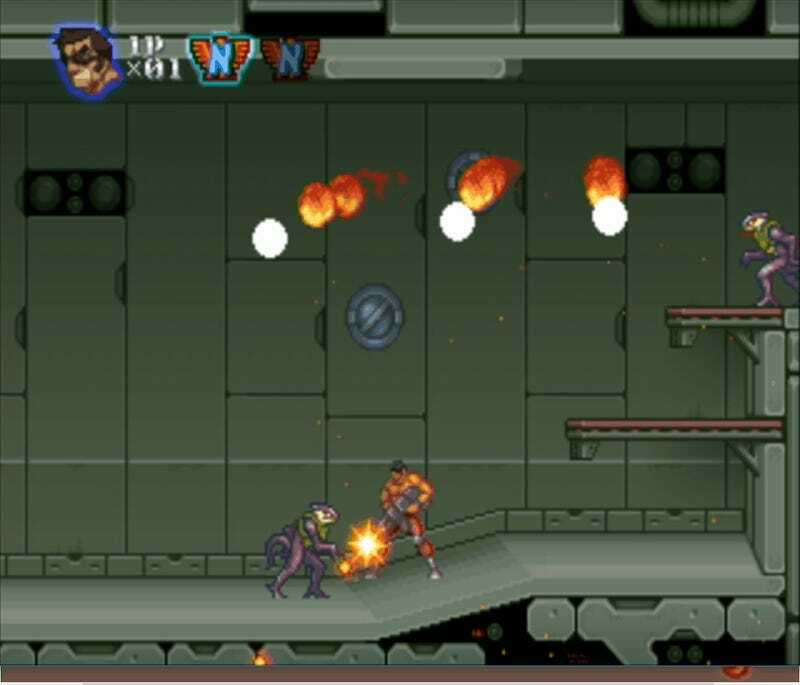 The success of Nintendo’s groundbreaking classic-game download service apparently inspired many game publishers to create new, retro-styled entries in classic franchises for WiiWare. While some of these, like Mega Man 9 and 10, have since been released elsewhere, some remain exclusive to WiiWare. Perhaps the best of these are Konami’s trio of “Rebirth” games: Gradius Rebirth, Contra Rebirth, and Castlevania: The Adventure Rebirth. Developed by the top-tier retro revival studio M2, these are quite fun (if short) entries in their respective series, with pretty pixel art and gorgeous soundtracks. Sunsoft’s Blaster Master Overdrive is a similar release. One of Nintendo’s bigger efforts on WiiWare was Excitebike World Rally, a followup to its NES classic with isometric 3-D gameplay. In this same vein, there are also plenty of other remakes of classic games with 3D graphics, or just stripped-down WiiWare entries in popular arcade series: Bubble Bobble Plus, Arkanoid Plus, Bust-a-Move Plus, Mr. Driller W, Bomberman Blast, Rainbow Islands Towering Adventure, Adventure Island: The Beginning, Star Soldier R, and Nintendo’s own Dr. Mario Online Rx being the most notable of these. These were generally not as well received as Konami’s Rebirth series (Adventure Island was particularly terrible), but if you’re a completionist and want to see every entry in a beloved series, these do exist. Taito’s Space Invaders Get Even is a game that puts you in charge of the Invaders for once (note that you need to purchase additional levels via DLC). There’s also Alien Crush Returns, a 3D sequel to the classic TurboGrafx-16 pinball game, which is pretty fun, has a weird story mode, and isn’t available anywhere else. Hey, did you know that Nintendo and the developer of Fire Emblem, Intelligent Systems, made an on-rails pointer-controlled first-person shooter about recycling tin cans? Well, they did, it’s called Eco Shooter: Plant 530, and it’s only on WiiWare. I played the first level recently, and… I mean, it’s not good, folks. But it’s a fascinating historical oddity that I can’t imagine Nintendo will ever re-release again. More “did you know” games released by Nintendo: Bonsai Barber, a motion-controlled game about pruning the leaves off of a series of cute vegetables, which was actually developed by the lead designer of Goldeneye. And Fluidity, a flowing-water puzzle game developed by UK-based Curve Studios with music by longtime Sonic composer Richard Jacques. Similar to these is You, Me, and the Cubes, a clever puzzle game about tossing people at floating cubes that was one of the final projects of the late game developer Kenji Eno (D, Enemy Zero). From Japanese studio Vitei (Steel Diver), there’s Rock ‘n’ Roll Climber, a rock-climbing simulator that uses the Wii Balance Board. Other WiiWare originals from Nintendo aren’t as bad as Eco Shooter but aren’t as good as ArtStyle. A few notables: MaBoShi’s Arcade, a set of simple mini-games with the gimmick that three people can play three separate games on the same TV; Snowpack Park, a penguin-raising simulator; and two Pokemon games: Pokemon Ranch and Pokemon Rumble. Major third parties didn’t do many original games on WiiWare, but they are there. Namco Bandai did Muscle March, a port of an unreleased arcade game featuring campy bodybuilders. I played it when it came out and didn’t like it much. In a similar vein but more fun, there’s Konami’s Tomena Sanner, an automatic runner game with wacky hijinks. This was eventually released on iOS and Android—but those versions are gone now, with only this one remaining. There’s the Bit.Trip series published by Aksys Games, but those were compiled and released on a Wii disc, so there’s no particular need to buy the WiiWare versions. Square Enix was fairly prolific on WiiWare, releasing two spinoffs in the Final Fantasy Crystal Chronicles series, two in its Crystal Defenders tower-defense series, and two Tales of Bearsworth Manor games—all of which are only available via WiiWare. And, of course, there’s the original American release of Final Fantasy IV: The After Years. The PSP version that came later is a much better way to play this (not very good) sequel to the SNES RPG, but the WiiWare version has totally different graphics more reminiscent of the original’s. That’s probably not enough reason to get this version, but if you do, note that the initial 800 Wii Point cost just gets you the first episode, and you have to spend another 2900 Wii Points to download the rest via in-game purchases. Indie game studios produced a decent amount of WiiWare games, most of which were not very good and/or published on other platforms. You can get the Greek mythology platformer NyxQuest (which is actually pretty good) on Steam, for example, with nicer graphics (even though it lacks the pointer controls of the original). And although La-Mulana got its start on WiiWare, it’s since been ported elsewhere. But some games are WiiWare-exclusive, such as Wayforward’s LIT. If you have a Japanese Wii or Wii U, there are a few notable games that never left Japan. There are actually three WiiWare-exclusive Pokemon Mystery Dungeon games, a parody platformer from Sega called Pole’s Great Adventure, a version of the shooter Phalanx, and Line Attack Heroes, an action game from Nintendo developed by Grezzo (Ever Oasis). There are two WiiWare games that were never for sale—Doc Louis’ Punch-Out, a mini version of the Wii game in which you square off against Little Mac’s trainer, and Grill-Off With Ultra Hand, a cooking game starring a plastic toy that Nintendo made in the 1960s. These were only available by redeeming Club Nintendo points back when that was a thing, so you can’t add them to your account now. But if you got them back then, and if you do boot up the Wii Shop Channel any time between now and January 30, 2019, you should try to remember to re-download these if they’re not on your system. After that date, you won’t be able to. As the sun sets on WiiWare, it will be remembered as… well, I don’t really know if it’ll be remembered at all beyond a weird footnote, a strange half-measure taken by a company that wasn’t really sure if it wanted to be involved with downloadable games on a console that was hilariously ill-equipped to play downloadable games larger than an NES ROM. And now, in no particular order, the 10 WiiWare games I’m saddest to see disappear into the aether.